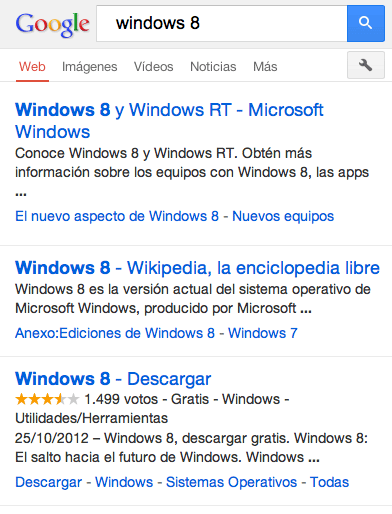 Home > Google News > Google: Don't Hide URLs In Search Results. We Don't Like It. Google: Don't Hide URLs In Search Results. We Don't Like It. @tecnonetblog, a man who spots probably 2 - 5 Google experiments per week, noticed a new one where Google is not displaying the search results URL in the search results interface. As you can see from the image here of the mobile search results, Google is showing the site's title, description and even sitelinks but not listing for the URL of the site. Again, this is just an experiment Google is running and it is not something we will 100% see ourselves anytime soon. Google may or may not decide to go with it. Why does TechCrunch here get a URL listed? I am not sure. Maybe because of the authorship snippet? Maybe this is just a weird random test on the top number of results? One thing is for sure, webmasters do not like it. 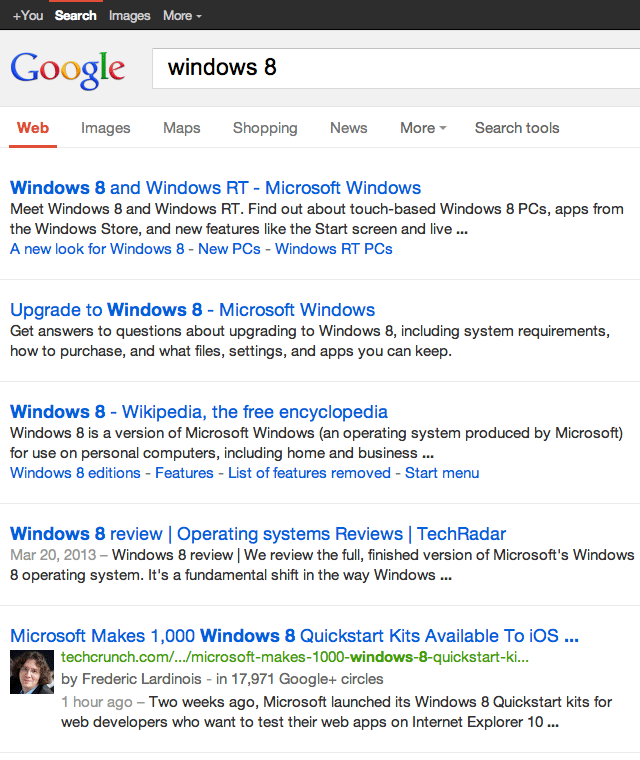 I blogged about it at Search Engine Land and the comments are not in favor of it. Threads from Google Web Search Help and Threadwatch are also not in favor. I can see why. It is nice knowing the URL of a site before you click on it. The URL is often very relevant to the search experience. Forum discussion at Google Web Search Help and Threadwatch. Previous story: Google's Cutts Say Search Flux Not Meant To Trick SEOs?